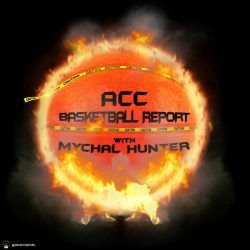 ACCBR Asks: Who is the ACC’s best returning player? I had a hard time choosing between Kyle Guy and Luke Maye. I ultimately chose Maye. His points per game are going to be crucial, especially if the other bigs haven’t progressed as much as people think they have or should have. Additionally, his experience is going to be key for the young guys, as he is an example of what working hard can do. Kyle Guy is a close second in my book because he is a shot maker. While he averaged 13-14 points last year, he had others around him who could pick up the scoring slack. Points are at a premium when you run as slowly as Virginia does. My choice for the ACC POTY is…Luke Maye. Mr. Maye carried the UNC team on his back as a sophomore to an NCAA Tournament Championship. As a junior his per game statistics went up nearly three fold. He can play outside the arc and inside around the hoop. He is one of the most difficult match-ups in the ACC because of his ability to play all over the floor. He also plays within himself and doesn’t beat himself (cliche’ I know), but he is a smart player, someone you want leading your team. It probably has to be Luke Maye. He gives off that Tyler Hansborough type vibe. Meaning, stay at UNC for most of, if not your entire eligibility and become a dominant force. He is not the most athletic player nor is he the best at one particular thing, but at the same time try to stop him from putting up numbers. Chances are, you won’t. I am going with UNC’s Luke Maye as ACC POTY. While Duke brings in incredible talent, Maye’s consistency and versatility make him one of the ACC’s most difficult players to guard. He is a 6’8 match-up nightmare, who can score, rebound and extend out to shoot the three. So there you have it. Do I think the same way? You will know in a few days. It should also be noted that possibly the best answer I received was when I spoke to College Hoop News’s Tony Patelis. Me: I wanna ask some other independents what their opinion is on the best returning player. Me: Who would be your choice? Me: I think everyone is going to say that. Tony: Well if he is than he is.